The Oklahoma City Whip Enthusiasts are having their annual Whip Weekend next weekend. When I am able, I like to help them by donating something to the event. 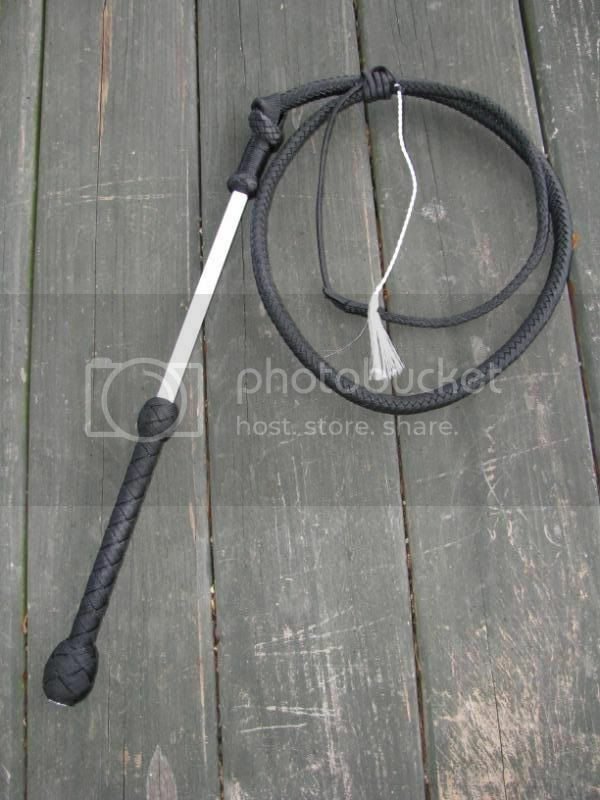 This year I am sending them one of my new stockwhips: a black 4 footer with a white fiberglass handle. I think they are going to be doing a raffle for it, so if you attend, you might have a chance to win it! This entry was posted on Friday, June 5th, 2009 at 8:13 pm	and posted in Australian Stockwhip, nylon whips, Whip Events, Whips. You can follow any responses to this entry through the RSS 2.0 feed.